Beer + Burger + AXE THROWING!!! Join Widmer Brothers Brewing on Saturday, 4/27 for the official release of our special edition 16oz Hefe Timbers team cans, and cheer on your hometown Portland Timbers as they take on Toronto FC across the boarder! We are teaming up with one of our favorite bars in town to catch the match, TILT in NW Portland, and Portland Axe Throwing to offer an one-of-a-kind away match watch party. 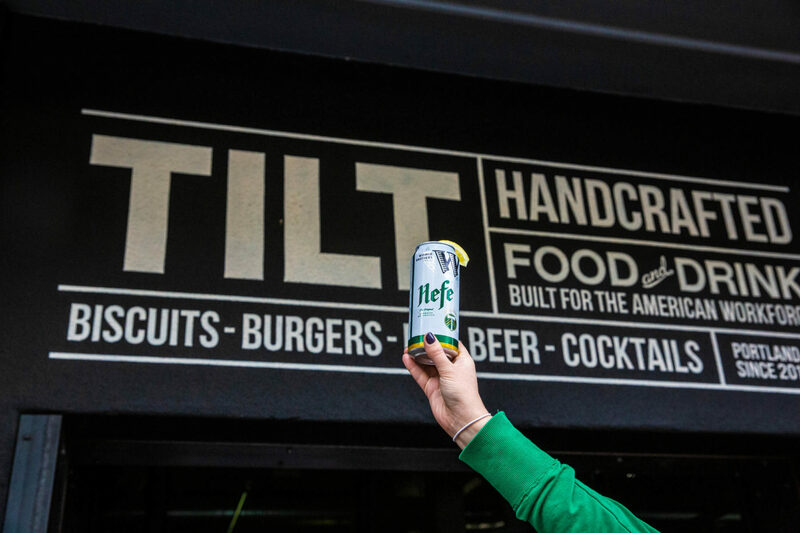 Check out $3 Hefe Timbers cans from 11a to 2p, throw some axes with Portland Axe Throwing, and conquer lunch time hunger with one of TILT's legendary burgers or sandwiches. We will be raffling off some rad prizes including tickets to a future 2019 Timbers home match, branded Widmer gear, and more!